Summary: "What if you forgot your identity and had to rely on other people to tell you who you were? Lonely in this world of happy zombies, Marsh and Elyse fall into an intense relationship...but the secrets they uncover could be the death of this growing love—and the death of everyone, and everything, they love in Summer Falls." First line: "I come to life with a gasp in the darkness." Thoughts: One of my biggest fears is seeing a book with an absolutely stunning cover but reading the story and having it fall flat. How can a book with such a beautiful cover have such a boring story, right? Well folks, rest assure because when it comes to Glimmer, this is not the case. The story is just as gorgeous as the cover. Glimmer opens with both characters waking up next to each other, without any recollection of how they got there or who they are. It's quite interesting because the story alternates points of views and since both characters seem to be suffering from some form of amnesia, each chapter begins with "Him" or "Her". I loved how both characters stumbled through each chapter, wondering what the french was going on. Even things like their clothes felt wrong. And the strangest part was, all these people seemed to know more about them than they did. As they began staggering through what they can only assume is their life, they begin to notice a strangeness in Summer Falls. Intense happy people? Glimmery people? What the french, toast? One of the things I loved about this book (and if you read my blog, you know this is a rarity) is the pacing. The plot progression was outstanding. Every little detail and bit of mystery unfolds just at the right time, with the perfect amount of intrigue. It makes you want to keep on reading, just so you can find out what happens next. Needless to say, things like work, taking a shower, and eating become a bit of a hassle once you start this book. Let's talk about world building. I loved Summer Falls and everything it has to offer. It's just the right amount of creepy and interesting: Not too much to scare you but enough to keep you guessing. This ghost town (as I like to think of it) is different than the ones I've read about before or seen in movies. The best way I can think about describing it is it's a mixture of Shade by Jeri Smith-Ready and The Stepford Wives. And the romance! Holy freaking cow. Before I started reading Glimmer, I honestly thought the romance factor would be subtle at best. Nothing could have prepared me from the sheer chemistry between Marsh and Elyse. As the novel progresses, you begin to read about their lives prior to waking up in the bedroom. They're not the type of happy go lucky couple you sometimes read about. They're the we've struggled together and belong together type. I easily feel in love with Marsh and his protective ways. Get this ladies, he's actually a good, sweet guy. Shut the front door! 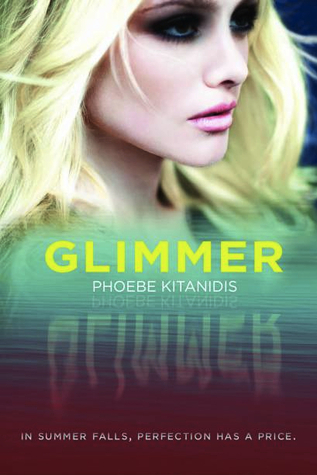 Overall, I would highly recommend Glimmer to fans of contempory and paranormal novels. I have yet to read NUMBERS by Phobe Kitanidis, but I'll definitely check it out now. Please note: this book may cause exhaustion and lack of sleep due to awesome overload. Oooh! I have to check and see if I have this already. You sold me with "One of the things I loved about this book (and if you read my blog, you know this is a rarity) is the pacing." & "he's actually a good, sweet guy"
Oh nice a great romance! That's awesome I've been in a slump lately with only meh romance in books I have to pick this one up! Great review!! Aaah, this sounds so awesome and I'm really glad you enjoyed it so much ... although I'll really have to get a copy now. ;) Thanks for sharing! Great review. This book is super high on my "want it now" list lol!! Awesome review!! It sounds like it is absolutely amazing!! Awesome review! I cannot wait to start this one now! Thanks! Ohhhhhh, Lena, I really want to read this book now! I'm always afraid that books with gorgeous covers will let me down too, so I'm really glad that this isn't one of them! 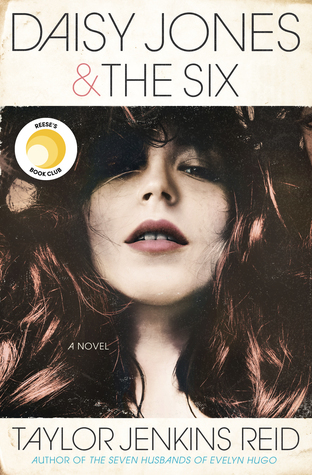 The romance, the characters, the pacing... Everything that you described about this book sounds so fantastic! I was a little unsure about this one, but your review definitely convinced me! This sounds like a book I MUST read now. Mystery and romance and good pacing? It's a winner!